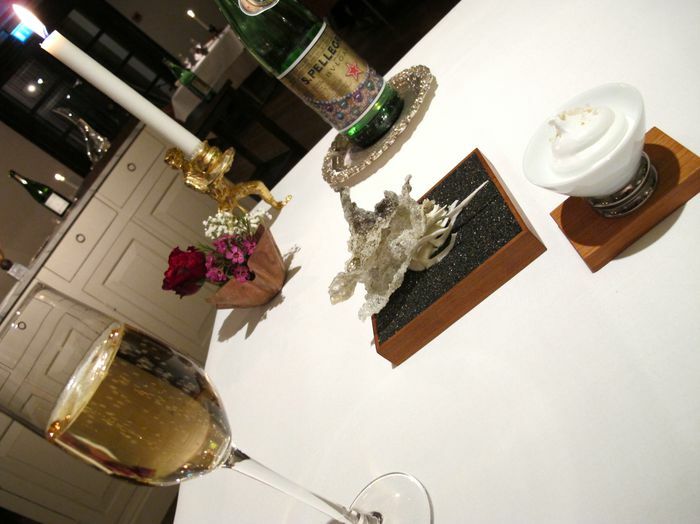 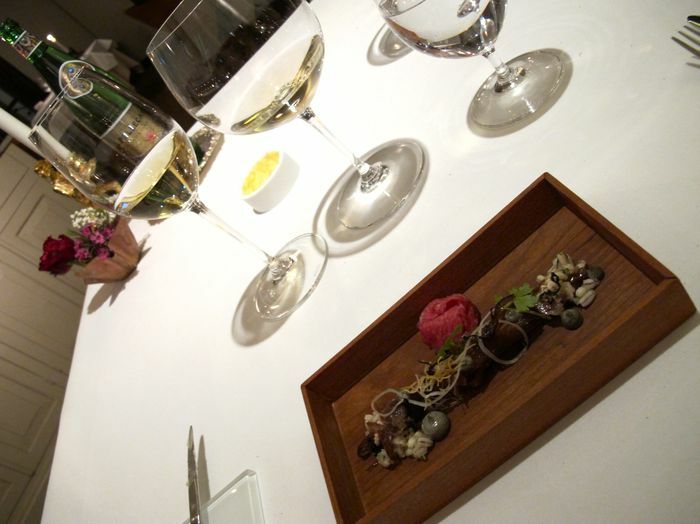 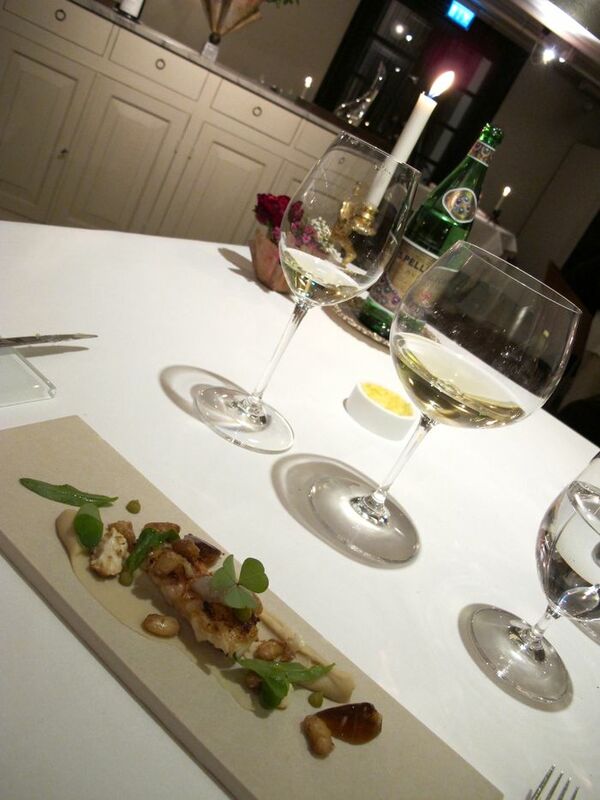 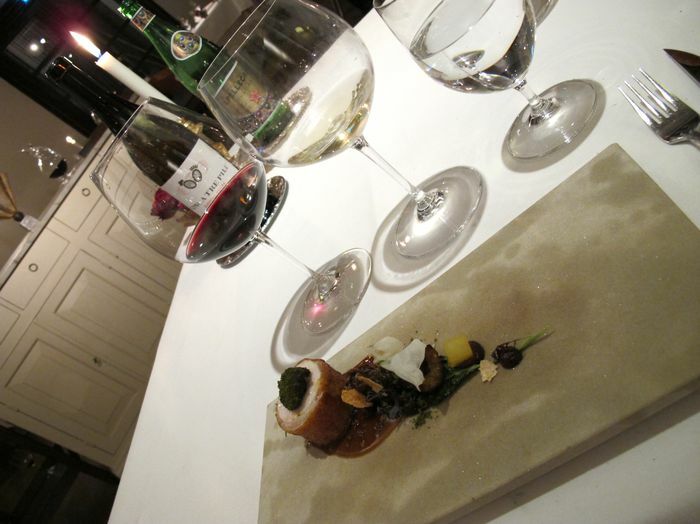 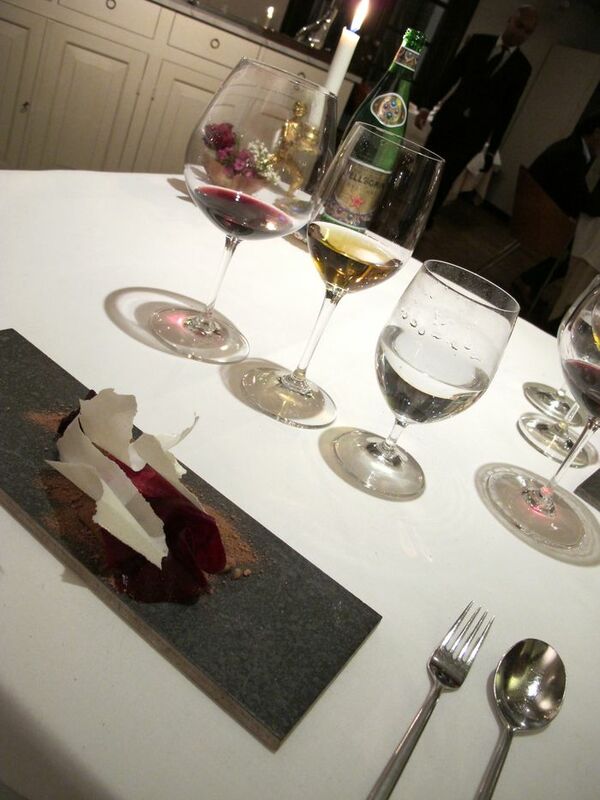 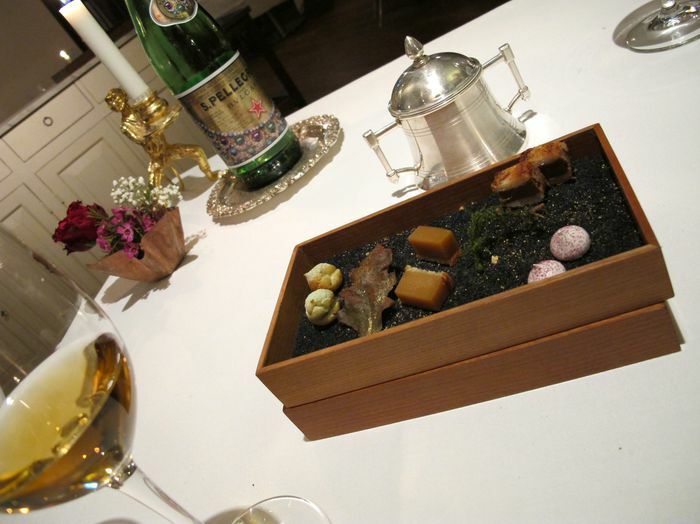 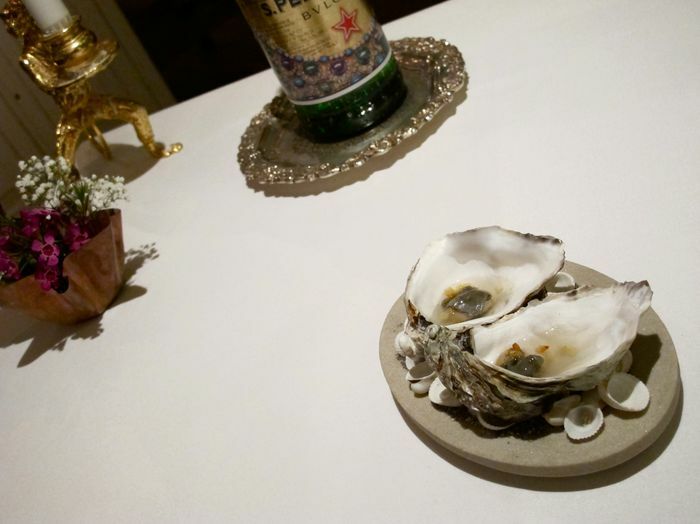 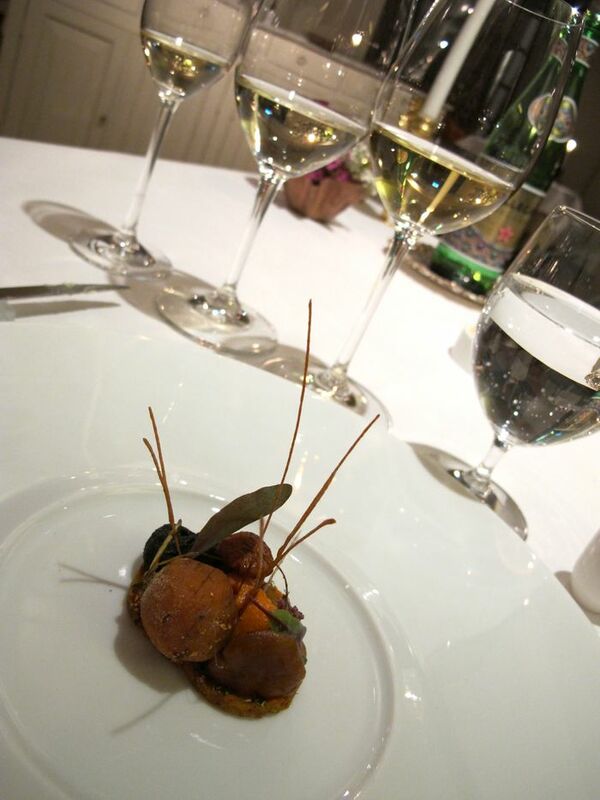 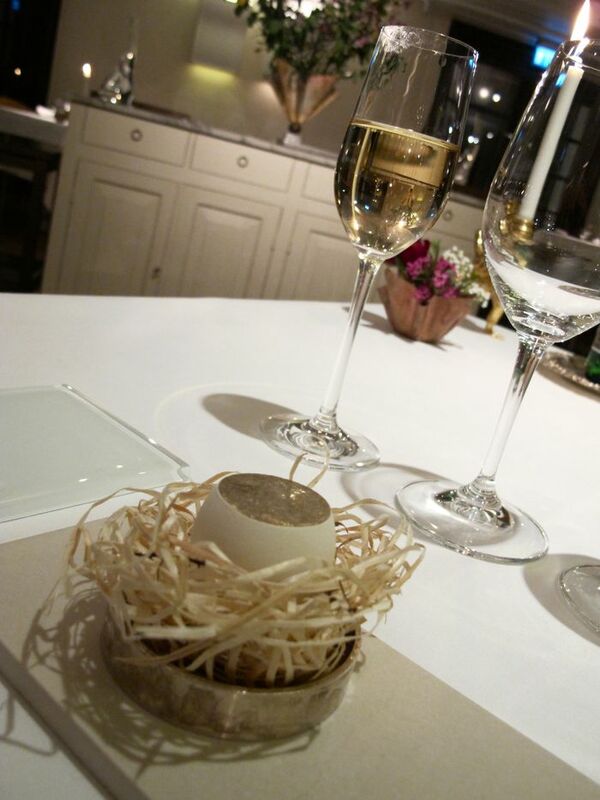 An eleven course dinner at restaurant Esperanto in Stockholm. 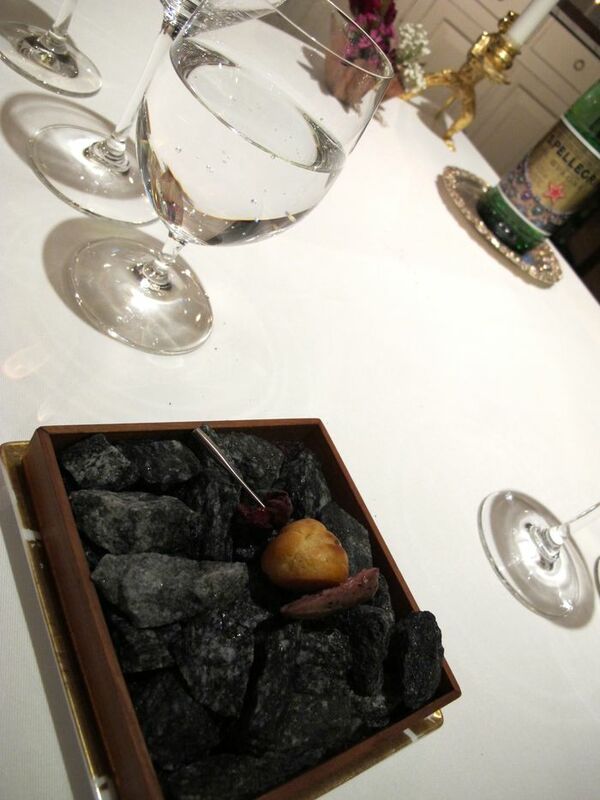 Chicken heart on a bed of charcoal. 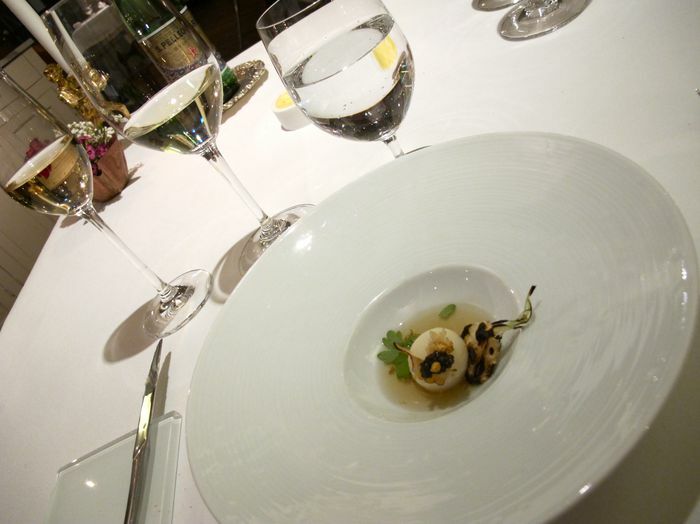 Missing a description of this one. 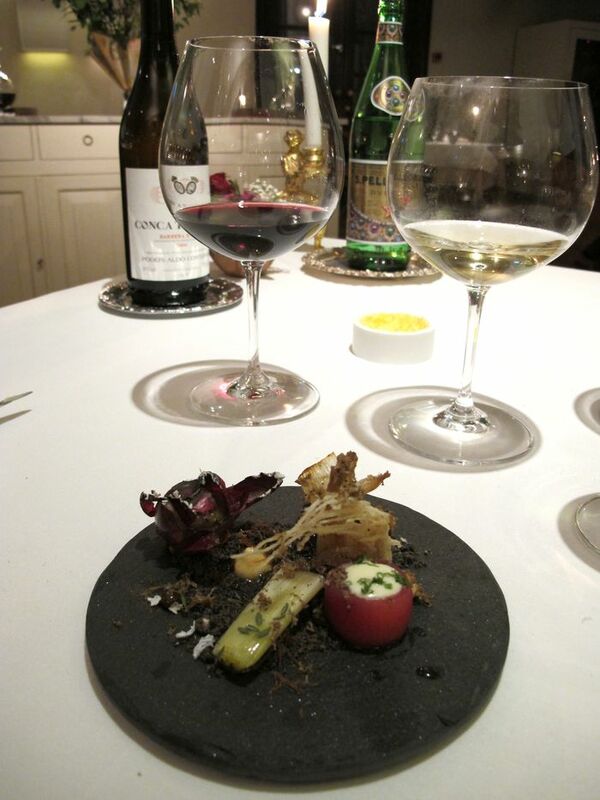 Four different types of onions. 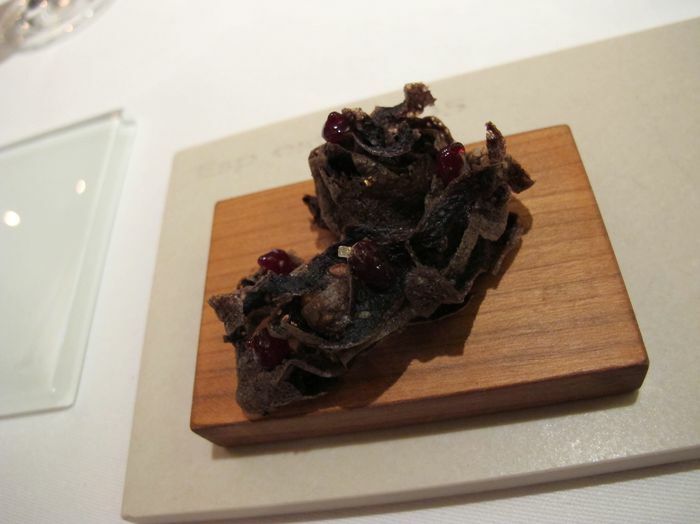 Licorice with beetroot and yoghurt shavings.